Minister of State at the Department of Foreign Affairs and Trade (Deputy Joe Costello): My colleague, the Minister for Communications, Energy and Natural Resources, Deputy Rabbitte, takes the lead on Government policy in regard to bio-fuels. The EU Renewable Energy Directive 2009 requires that 10% of transport fuels should come from renewable sources by 2020. The directive also provided that the ongoing effects of its implementation be monitored by the European Commission. Following a number of studies, in October 2012 the Commission published a proposal to amend the Renewable Energy Directive and the Fuel Quality Directive. The Commission included a proposal that the 10% quota be reduced to 5%. The proposal for a reduction to 5%, in conjunction with the incentives for advanced, or next generation, bio-fuels, signals the desire of the Commission to move towards the use of advanced bio-fuels made from feedstocks which do not compete with the production of food. While member states agree that the issue must be addressed, it is an extremely complex matter and there is no agreement yet on the appropriateness of a 5% cap. Progress is being made in this regard at an ad hoc working group of the EU energy and environment Councils, with the objective of producing a progress report for both Councils in June 2013. I share concerns that bio-fuel production, unless properly regulated, can have a negative impact on food production and food prices. Higher food prices accentuate the challenges faced by poor people in developing countries in accessing sufficient food and having a nutritionally balanced diet. The international conference that the Government is hosting with the Mary Robinson Foundation, the World Food Programme and the Consultative Group on International Agricultural Research in Dublin on 15 April and 16 April will be a dialogue on the interlinked issues of hunger, nutrition and climate justice. The event will bring together a diverse audience, connecting key policy-makers and global thought leaders with local people and practitioners facing the realities of rising food prices, failed crops and malnutrition. The objective will be to learn from practical experience and from robust evidence of local solutions to these challenges, which will be presented during the conference by representatives of grassroots organisations from developing countries. This year, the international community will review progress on the millennium development goals, two years before the target date for their achievement. Policy discussions will also begin on the post-2015 development agenda. It is essential that these policy processes be firmly rooted in the reality of people’s lives and objective evidence of what has worked and what has not. In hosting this conference, we hope to inspire new ways of thinking about global development challenges and to invigorate and broaden the debate, at all levels, listening to and learning from the experiences of local people, and rooting future thematic policy approaches in their lives and their efforts to cope. 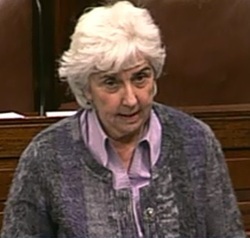 Deputy Maureen O'Sullivan: It is rather ironic that the renewable energy directive, which has the grand ideal of working to combat climate change, should have such a negative effect. There is no doubt that the bio-fuel industry is driving land-grabbing in Africa. 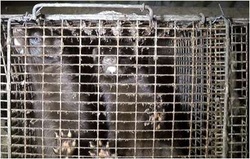 Some of the scientific data and reports we have received bear this out. Recently an NGO from Kenya told us about the circumstances in that country. It is reckoned that 40 million hectares have been taken from African land for bio-fuels since 2000, and this is having very negative effects, such as land displacement and evictions. These, in turn, cause hunger and water shortages. I will not address the labour issues associated with some of the companies involved. Is Ireland supporting the reduction of the cap to 5%? When the Tánaiste addresses the Mary Robinson Foundation's conference, will he be saying that Ireland will support the 5% cap? Deputy Joe Costello: Ireland is supporting the 5% cap. As I indicated, the discussions are ongoing. They are quite complex in the sense that there are a number of countries, particularly in eastern Europe, that regard any change to the 10% cap agreed in the original directive of 2009 as interfering with their industrial status. There is considerable awareness about the discussions. It is hoped that some progress will be made. The matter is being discussed under the Irish Presidency. Everybody would like to see us begin the process of separating the approaches to bio-fuels that interfere with food production from those of producing fuels from waste and other materials. It is recognised that much land has been purchased in Africa recently. Some of it has been purchased for the production of bio-fuels and some for other purposes. This could have an impact in a continent in which food security is a major issue. This is a major consideration that we are taking on board. It will be very much relevant to the conference to which I referred. Deputy Maureen O'Sullivan: Let me refer to two excellent reports on bio-fuels. The first, Fuel for thought: Addressing the social impacts of EU bio-fuels policies, was produced by ActionAid, and the second, The Race for Land, was produced by the Swedish Cooperative Centre. They really provide great insight. The last thing we want is for Ireland to be giving aid to alleviate hunger while it is taken back owing to the energy issue, thus creating more hunger in Africa. I look forward to supporting the 5% cap. There should be direct discussions with the Minister for Communications, Energy and Natural Resources on this matter in the interest of policy coherence. Deputy Joe Costello: I have seen the reports. Only yesterday I had a meeting with the Sierra Leone group, which produced a report on its concerns about what is happening in that country. This is very much taken on board. As the Deputy knows, Ireland devotes 20% of its overseas development aid to tackling hunger. It is the only country in the world that does so. The area of hunger, nutrition and food security is central to our policy. I spoke as recently as yesterday with the Minister for Communications, Energy and Natural Resources, Deputy Rabbitte, about his position on the negotiations taking place on the European Union regulation. We will be continuing our discussion in that manner. To ask the Tánaiste and Minister for Foreign Affairs and Trade if he will engage further with the authorities in Burma on the abuse of human rights of the Rohingya people who are deprived of basic civil entitlements like the right to education, land ownership and so on, now facing the triple threat of disease, starvation and violence; and if he will make a statement on the matter. * For WRITTEN answer on Wednesday, 20th March, 2013. The Government continues to closely monitor reports of human rights abuses of the Rohingya people in Burma/Myanmar and is concerned about the situation. While Ireland’s diplomatic relations with Burma/Myanmar are maintained on a secondary accreditation basis via our Embassy in Vietnam, and through the Embassy of Burma/Myanmar in London, we continue also to work through the mechanisms of the EU and UN to ensure that human rights are respected in Burma/Myanmar, including those of the Rohingya people. On 28 January 2013, the Irish Ambassador in Hanoi presented his credentials to become the first Ambassador of Ireland accredited to Burma/Myanmar. Following accreditation, the Ambassador met with both the President and Foreign Minister of Burma/Myanmar and discussed a range of issues, including the human rights situation in Rakhine State. As an elected member of the Human Rights Council, Ireland is working closely with partners at the Council to ensure the continuation of international scrutiny of the human rights situation in Burma/Myanmar. At the 67th session of the United Nations General Assembly Ireland along with our international partners urged the Government of Burma/Myanmar to accelerate its efforts to address human rights concerns and called upon the Government there to grant safe, timely, full and unhindered access across Rakhine State. President Thein Sein visited Brussels on 5 March. He met with High Representative Catherine Ashton as well as with President of the Commission José Manuel Barroso and President of the European Council Herman Van Rompuy. Following this latter meeting, a Joint Statement was released in which both sides agreed to work in partnership to promote human rights and the rule of law for all people living in Burma/Myanmar, including the Rohingya. Ireland’s recent experience in development cooperation in Vietnam, Laos, and Cambodia as well as in Timor Leste is relevant to Burma/Myanmar, and we stand ready to share this experience to assist in its development and democratisation. To date, Irish Aid has provided over €7m to Burma / Myanmar through NGOs and Irish missionaries for long term development and emergency and recovery responses. Ireland will continue to urge the Government of Burma/Myanmar, both bilaterally and through the relevant multilateral channels, to address the human rights situation of the Rohingya. Ba mhaith liom comhghairdeas a dhéanamh leis an Teachta Finian McGrath agus gabhaim buíochas leis ar son an obair a dhein sé i gcóir an Gnó Príomháideach seo. Aithníom, chomh maith, an obair a dhein sé thar na blianta ar son lucht míchumais. Credit is due to Deputy Finian McGrath for this Private Members' motion. There is a need for recognition of him as being a voice for those with disabilities, both in his time on Dublin City Council and also in the Dáil. One of the most shameful moments that I experienced in my few years here was some months ago when persons with disabilities, in their wheelchairs, including some past pupils of mine from St. Mary's Baldoyle, took part in a protest outside the Dáil. It was an overnight protest to highlight their situation and the implications of the threatened cuts. I must ask what kind of society are we that any consideration or any thought would go to making life more difficult for those with disabilities. We know we are living in challenging times but those challenges are really compounded for those with disabilities. They have so many additional challenges and those challenges extend to their families and their loved ones. My first point is that we do not define a person by the disability and we must be careful when we discuss disability. There is such a wide range of areas, covering physical, mental, intellectual, environmental, social and medical. We only see the word as an umbrella term for impairments, activity limitations or participation restrictions. It is vital that we look at the person rather than the disability and equally vital that somebody with a disability is not precluded from taking as full and active a role in society as is possible. It has been a bad time, particularly recently, for those with disabilities, both mental and physical. It comes from those additional stresses and strains caused by insensitive and, I believe, immoral and unethical, measures taken with regard to personal assistant hours, home help hours, mobility allowance, etc. On purely economic terms, the supports provided by families and carers are much less than if the person was in full-time nursing care and the cost of providing support for persons with disabilities in order that they can be cared for at home in so far as is practicable is minimal in comparison. Recently I spoke on a Topical Issue matter. 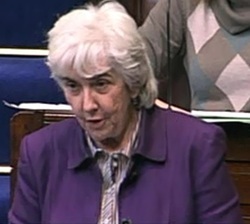 The Minister of State, Deputy Kathleen Lynch, was not able to take it but another Minister did. I quoted UN Special Rapporteur on Torture and Cruel, Inhuman and Degrading Treatment or Punishment, Mr. Juan Méndez, when looking at abuses in healthcare settings, within the UN Convention on the Rights of Persons with Disabilities and Committee on the Rights of Persons with Disabilities. He made the point that community living, with support, is no longer a favourable policy development but an international recognised right. In that regard, there are implications for us as a society. On mental health, Mr. Méndez, in his report, called for the revision of legal provisions which currently permit detention on mental health grounds in mental health facilities and allow coercive interventions and treatments in those settings without the free and informed consent of the person concerned. The Minister of State and I both remember the late Mr. John McCarthy when it comes to these kind of issues. The report also calls for a ban on forced or non-consensual medical interventions for persons with a disability, such as electric-shock treatment, mind-altering drugs, restraint and solitary confinement. In the reply to the matter I raised the Minister of State indicated the report was being looked at. When it comes to decision-making, as Amnesty International set out in a submission, the ability to make decisions is something that most of us take for granted but there are those whose ability to make decisions is taken from them. There is our archaic wards-of-court system, the Lunacy Regulation Act 1871 and the Electoral Act 1992. No doubt there is discrimination against disability, in particular, those with mental health issues and intellectual disabilities, and that is in our legislation. Those with mental health issues and intellectual disabilities have their decision-making capacity compromised in areas of finance, banking, healthcare, social welfare, education and family law, and in practically every other area where decision-making is required. It is time that we as a country mainstreams decision-making in all legislation as a human right guaranteed to everyone and not the particular few. We must prioritise bringing in that capacity legislation in line with the Convention on the Rights of Persons with Disabilities as per the programme for Government so that there would be a system of supported decision-making that upholds the autonomy of everyone. The motion calls on the Government to treat all citizens in a fair and equitable manner. I spoke at the opening of the Constitutional Convention and I want to reiterate a point I made there regarding the areas not covered under the remit of the eight sessions of the convention. One of those is protecting the rights of persons with disabilities. I hope that will be a priority area for the Constitutional Convention at the end when the eight are discussed and it can make recommendations. We know the effect of the cuts and the austerity measures on the healthy population and it is far worse for those with a disability. In a civilised and humane society, people with disabilities should be sacrosanct when it comes to budgets. Their lives should not be made any worse, in particular in those weeks coming up to the budget when they have the added strain of kite flying about what might be cut for them, which is immoral. The cutbacks take no account of those aspects of the person's quality of life. For example, a person with a physical disability has greater needs for home heating than an able-bodied person who has mobility and can move around and keep himself or herself warm. Dublin City Council is waiting for funding from the Department of the Environment, Community and Local Government which it will use for adaptations to homes for people with a disability. A lady in Dublin Central, who is an amputee, is in her third year of waiting for an adaptation. The toilet and shower are upstairs in a three storey house. The stairs were built in such a way that they cannot accommodate a chair lift. That she has been waiting for three years is simply wrong and is an example of a person with a disability not being treated fairly. Deputy Finian McGrath's motion recognises work of the voluntary organisations which have seen their budgets cut by as much as 25%. If they are under severe financial pressure, it will impact on the services they are providing for people with disabilities. St. Michael's House provides services for those with intellectual disabilities. Despite the moratorium on recruitment, the budget cuts and the reduction in staff numbers, all of which are having considerable impact, those at St. Michael's House have continued to expand and develop the services provided there. Those staff are coping with an increase in the number of people who use their day services and receive residential services. Great credit is due to the staff at St Michael's House in respect of the way they continue to deliver high quality services. The major challenge for them now is that St. Michael's House has the largest waiting list for residential care in the country. Disturbingly, 240 of the parents who have sons and daughters with an intellectual disability are over 70 years of age and more than half of them are facing very serious difficulties. The motion states "according to Census 2011, 13% of the population is coping with a disability". Those are manageable numbers that could be dealt with. The UN Convention on the Rights of Persons with Disabilities states that countries must remove the barriers that prevent participation and inclusion in society. Cuts to funding for those with disabilities are creating further barriers. The capacity legislation needs to be enacted to ensure the rights of people with disabilities are protected and there is a need to update. As part of Ireland's Presidency of the European Union Council and membership of the UN Human Rights Council, Irish Aid should promote and ensure the rights of people with disabilities in developing countries also, particularly in times of environmental crisis and civil unrest. The motion basically calls on the Government to keep the promises it made in the programme for Government for people with disabilities. In other words, it was easier to continue committing crimes than to start over. There is something wrong if it is easier to continue in crime than to start a new life. If we are serious about reducing the level of recidivism and stopping the revolving door, we have to act. Cuirim fáilte roimh an mBille, toisc go dtugann sé seans nua do dhaoine a dhein dearmad agus a bhí ar an mbóthar mícheart tosnú ar an mbóthar ceart, but I do not think it goes far enough. The Bill provides for exceptions such as sexual offences and other serious offences tried by the Central Criminal Court. I acknowledge the need for the disclosure of convictions for those who work with children or vulnerable persons. However, we do not want to preclude those who pose no threat to children or vulnerable persons. Convictions will also have to be disclosed when individuals apply for taxi and private security licences. I understand the taxi issue has been discussed previously in a different context, but concerns have been expressed that the same regulations will apply to all applicants, regardless of country of origin. We know the phrase "commit the crime and do the time", but every opportunity should be given to individuals to start afresh once they have faced up to their punishment. If we are serious about preventing recidivism, we must get such individuals into productive employment at the earliest opportunity. The seven year wait in the case of a custodial sentence of up to 12 months is too long, as is the period of three years in the case of a fine of up to €500. Research indicates that the optimal time for a clean slate is just after completing a sentence. The sooner an offender gets a job, the higher the odds that he or she will not reoffend. As a representative for Dublin Central, one of the biggest prisons in the country, Mountjoy Prison, is in my constituency. People from certain parts of Dublin Central make up a disproportionate number of those who go to jail. I have known teenagers from my youth club days, particularly young boys, who I am sure would not have reoffended if jobs had been available for them when they left prison after their first offence. I doubt that waiting up to seven years for a conviction to be considered spent will help a young person to stay out of jail. The Penal Reform Trust made an interesting submission on the Bill. It gave the example of person A who received a nine month sentence which was suspended for two years but who is still feeling the effects 14 years later. He is working abroad and wants to return to Ireland, but his criminal record defines what he can do. Person B received a fine for possession of cannabis 20 years ago and is still precluded from working with children. That person feels demonised for a mistake made a long time ago. The trust believes that where an individual is given an entirely suspended sentence which is not subsequently revoked, it should be treated as a non-custodial sentence. The issue of isolated incidents must be taken into account. Somebody who makes a mistake or a single transgression for a minor offence should not receive a life sentence which defines what he or she can do for the rest of his or her life. Section 258 of the Children Act 2011 states offences committed by people under the age of 18 years can be considered spent under certain circumstances. This is an acknowledgement that past behaviour is not indicative of future behaviour. I do not see why that principle cannot be applied to older offenders. Tá aithne agam ar dhaoine ó mo dháilcheantar a bhí i bpríosún. Thóg siad gach seans a fuair siad san bpríosún i gcomhair oideachais nó i gcomhair oiliúna. Tháinig siad amach as an bpríosún i bhfad níos fearr agus réidh chun leanúint ar aghaidh lena saoil. Caithfimid cabhrú leis na daoine sin agus gan baic a chur os a gcomhair amach. Perhaps if we lived in a society that was equitable and fair, nobody would need to be afraid to reveal a past conviction. I acknowledge the work of the Mercy Law Resource Centre which advocates that the proposed spent conviction scheme be extended to the provision of publicly funded housing by local authorities. Its submission which has merit suggests only information on unspent convictions should be disclosed to a local authority. It also calls for an extension of the equality legislation to include a prohibition on discrimination on the grounds of a past criminal conviction and recommends the establishment of an independent body with enforcement powers to investigate complaints under the proposed scheme. This will be needed if we are to combat the issue of homelessness among those who come out of prison. There is a strong link between homelessness, crime and reoffending. Homelessness can lead to crime and being released from prison can lead to homelessness in the absence of a proper housing strategy. It is vital that we stop that cycle. A recent survey found that 33% of Irish female prisoners in Dóchas and 35% of male prisoners were homeless after release. In my constituency anti-social behaviour is prevalent in certain housing estates. I support the system of estate management checks, but we cannot exclude individuals from local authority housing on the basis of information from the Garda without taking into account its relevance, accuracy or seriousness. We must differentiate between different crimes. I am concerned that the information provided by the Garda includes not only criminal convictions but also cautions, warnings, investigations without charge, pending investigations and dismissals under the Probation Act. Some of these minor crimes result from addiction and alcoholism, but those who deal with their issues, attend rehab services, complete the 12 step programmes and have turned their lives around towards sobriety may not be housed by the local authority if they have a conviction, a sentence, a fine or a caution relating to that drug or alcohol use. For this reason, people coming out of rehab services or prison may not be housed and will move into emergency accommodation. This is very expensive and not always appropriate because it means they are mixing with people in a state of addiction, which will not help their recovery. They often end up homeless and the cycle begins again. I would like to see the Bill extended to include the provision of housing in a balanced and fair way. With regard to enforcement powers and penalties, the enforcement-investigation powers of the Data Protection Commissioner should be extended to include complaints under the scheme. There must be some penalty system or enforcement will not be effective. A scheme that aims to facilitate the reintegration of ex-offenders into society must be welcomed. However, the gaps in the proposed legislation must be addressed. The Minister spoke about not doing enough, but the Bill only goes just a short way in this area. I would like to mention two projects. The first, not in my constituency, is called Care after Prison in the Dublin 2 and Dublin 8 areas. This project is a partnership between a group of people, the Carmelite community and the Dublin YMCA. In the past year and a half it has worked with over 160 ex-offenders. It provides a range of services, including counselling and peer support. It has provided from its own resources a highly committed and motivated experienced team which provides information and support, whether to do with counselling, housing, training or education. The recidivism rate for those participating in the project is 0%. The budget for the project in the past year was €29,400, a small proportion of which came from the local authority. If we are serious about preventing recidivism, this is a project that works and I see no reason not to look at it more seriously. It costs €14,000 to keep a person on methadone for one year. We have a project that is working to help keep people totally drug free, saving €14,000, but that money is not being returned to it to help more people to become drug free. To ask the Minister for Social Protection the number of families that have voluntarily given up their child benefit payment either for financial or other reasons. - Maureen O'Sullivan. For WRITTEN answer on Thursday, 7th March, 2013. The Department is only aware of two families that have voluntarily given up entitlement to child benefit by way of submitting a clear request that payment be discontinued. However, it may be possible that others have chosen not to respond to correspondence and have, by default, discontinued claiming child benefit. Ba mhaith liom aitheantas a thabhairt don Teachta McCarthy de réir na hoibre atá déanta aige ar an mBille an-tábhachtach agus riachtanach seo. The words "Autism is not me. Autism is just an information processing problem that controls who I am" is a quotation from the author of the books entitled, rather interestingly, Nobody, Nowhere and Somebody, Somewhere. Generally, we are talking about those sharing a triad of impairments that affects their ability to understand and use non-verbal and verbal communication and understand social behaviour, and their ability to interact with others. They show restricted obsessional or repetitive activities, and there is the additional dimension relating to the difficulties in processing sensory information. Parents will have an idea by the time the child is 18 months old that something is amiss. There will be a communication or social difficulty, or a difficulty with physical contact or social interaction. It must be heartbreaking for parents and grandparents to try to pick up a toddler who does not want to be touched and who does not want to be cuddled and held, and then to see the short attention span and preference for solitary play. In reading about autism for the debate today, I noted there is such a range of theories, ideas and suggestions, but, it appears, no gold standard for treatment. While there may be some common factors, each person with autism can display different physical, emotional, behavioural and social issues. It is not surprising that it is sometimes called pervasive developmental disorder because it has an impact on such a wide variety of abilities. I understand that very few of the range of treatments have been scientifically proven to be effective, but parents, siblings, families, teachers, therapists, etc., have positive experiences of many of these activities and treatments. 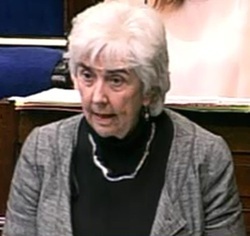 Looking at children - the Bill is about adults but, as Deputy Ó Caoláin stated, autistic adults start off as autistic children - there is no single intervention, but most individuals respond best to highly structured behavioural programmes. I want to mention some of these programmes to show the range. ABA, mentioned by Deputy Finian McGrath has had some very positive scientific results. There is floortime therapy and there is an interesting one about diet - a gluten free-casein-free diet. We know about speech therapy and occupational therapy, and sensory integration therapy. There is verbal behavioural intervention. There is also the school-based TEAACH method which focuses on the design of the physical environment, and the social and communicating environment. The environment is structured to accommodate the autistic child and because children with autism are often visual learners, it is important to bring in visual clarity. This brings me to PECS, which uses picture cards and encourages the expression of feelings through non-verbal activity. Relationship development intervention, which is parent based, is a programme to be implemented into regular daily activities. SCERTS promotes child-initiated communication and involves all the players - peers, parents, etc. What projects and treatments have found about the use of classical music has been very interesting. A wide range of treatments and ideas are available. The last thing parents want is to have to spend precious time battling authorities in order to access some of these treatments because what might work for one child might not necessarily be of maximum benefit for another child. I refer to the ChildVision project in Deputy Finian McGrath's constituency in what was formerly St. Joseph's School for the Visually Impaired. It has an excellent multi-disability visual impairment unit. Regarding the adult situation, I came across a research project in England which found that 61% of adults with autism rely on families for financial support; 40% live at home with their parents; only 15% are in full-time employment; 75% either do not have friends or find it hard to make friends; and 50% have been bullied or harassed as adults. This group of adults with autism has produced a self-advocacy booklet. There is a need to support people with autism as they move into adulthood and into older and middle age, because the first cohort of people who were diagnosed with autism as children are now at that particular age. I welcome the Bill and particularly the legislative and equality aspect; the cross-party and cross-departmental strategy including families and carers; the implementation; the reports - I think they should be more frequent than every three years; the autism awareness campaign; and the accountability of the services. I have just come from an International Women's Day event in the SAOL project in my constituency where I met a lady who claims to have "put the camp into campaign". She set out with her tent many years ago to protest at the Department in order to get educational services for her autistic child and she succeeded. That young man is now 31, living at home with a range of needs. People with disability should not be politicised and there should be general cross-party agreement on it. They are most vulnerable people and need the services that people without a disability can access. 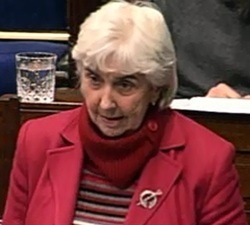 Deputy Maureen O'Sullivan: Gabhaim buíochas don Teach agus ba mhaith liom a rá go bhfuil áthas orm go bhfuil an t-ábhar seo á phlé againn inniu. Tá sé riachtanach go gcoimeádfaidh muid an t-ábhar seo, cúrsaí sláinte intinne, os ar gcomhair amach anseo. We know the plan for community-oriented multidisciplinary mental-health teams that will allow people to access treatment without hospitalisation, but it is not moving as efficiently as it should. Apart from the human advantages, there are also significant economic advantages. The money for mental health services has not always gone into mental health services, where we know it is needed. There is a need for a system that would track the activities of community-based mental health services and funding. I draw the attention of the House to the report, published on 1 February, of the UN Special Rapporteur on Torture and other Cruel, Inhuman or Degrading Treatment or Punishment, Mr. Juan Mendez, which looks at abuses in health care settings that may cross the threshold of mistreatment and be a form of torture or cruel and degrading treatment. In looking at mental health legislation within the UN Convention on the Rights of Persons with Disabilities and UN Committee on the Rights of Persons with Disabilities, Mr. Mendez established that community living with support is no longer a favourable policy development but an internationally recognised right. Community mental health services are not an established right in Ireland. While this was first proposed in 1984 and again in A Vision for Change in 2006, we are still awaiting the move from residential and institutional care to community care. While the policy in this regard has been in place for more than 30 years, it has not been the practice. I support the call by Amnesty International for legislation in this area to provide that health authorities are duty-bound to account for and ultimately deliver community mental health services. Mr. Mendez also calls in his report for legal provisions to be revised, which provisions currently permit detention on mental health grounds in mental health facilities and allow coercive interventions and treatments in mental health settings, without the free and informed consent of the person concerned. The report also calls for a ban on forced and non-consensual medical interventions for persons with disabilities, be that psycho-surgery, electric shock treatment, mind altering drugs, restraint or solitary confinement. I would like to know where we stand on these matters. Another issue of concern is the status of the appointment of the director for mental health services and whether that person will have budgetary control and an implementation plan for delivery of A Vision for Change. I have previously tabled parliamentary questions to the Minister, Deputy Reilly, and Minister of State, Deputy Lynch, on staffing issues. Between March 2009 and December 2012, there was a 12.1% decrease in staff numbers in mental health services. We do not want a recurrence in 2013 of the delays which occurred in 2012. There must be visible accounting in terms of what is happening in terms of funding and staffing for mental health services. Minister of State at the Department of Public Expenditure and Reform (Deputy Brian Hayes): I apologise on behalf of the Minister, Deputy Reilly, and Minister of State, Deputy Lynch, for their not being in the House to respond to this important issue raised by Deputy O'Sullivan. In line with the agreed programme for Government, the Government has prioritised the reform of our mental health services and is committed in particular to the delivery of more and better quality care in the community, as envisaged in A Vision for Change. Deputy O'Sullivan referred to the 1984 document, which I recall because I was a student at that time and did a special report on it. That report focused on the move to a community model. I recall distinctly well the context of the report at that stage. Implementation of the recommendations of the report has been slower than originally expected owing to a number of factors, including the changed economic context, constraints on public expenditure and the moratorium on recruitment. However, with regard to residential services, a great deal of progress has been made with the accelerated closure of old psychiatric hospitals and their replacement with bespoke new facilities such as the Phoenix Care Centre which was recently opened in St. Brendan's, Grangegorman. Beyond new capital developments, progress also encompasses shorter episodes of inpatient care and involvement of users in all relevant aspects of mental health policy and services. One of the most fundamental changes in recent years, as the Deputy will be aware, has been that people within the mental health service now have advocates who argue for their requirements, in terms of services, locally. This is happening across mental health service provision in this country and has given an additional voice to people who need help. A Vision for Change recommended that a modern mental health service is best delivered in the community. 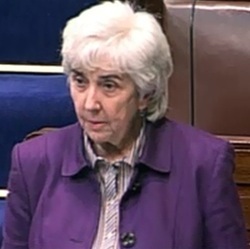 The Deputy will be aware that a special allocation of €35 million was provided in 2012 for mental health services to strengthen community mental health teams in adult and children's mental health services; provide an additional 414 full-time posts to enhance suicide prevention measures; initiate psychological and counselling services in primary care, specifically for people with mental health problems; and advance relocation of mental health service users from institutional care to independent living arrangements. Full utilisation of the 2012 funding, together with a further €35 million for the new service put in place for 2013, represents an extra €70 million, with more than 800 associated mental health posts to improve and reform services. Recruitment of 307 of the additional 410 posts approved in 2012 has been completed. The HSE aims to fill the remaining posts by end March 2013. I hope to be able to report progress in this regard over the next few weeks. Under the national implementation framework for the National Housing Strategy 2011-2016 for people with a disability and mental health issues, initial funding of €1 million has been made available by the Department to support the commencement in 2013 of the transitioning of people from existing settings to independent mainstream options. 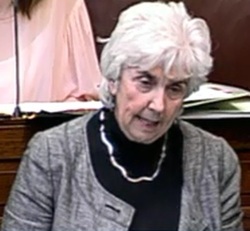 The renewed investment in mental health also facilitates the full implementation of the clinical programmes in this area and will drive service delivery and consistency, with a major emphasis on early intervention and improved collaborations within the primary care system to ensure the provision of a 21st century mental health service in Ireland. Ireland has a strong human rights record. The protection of such rights is central to our domestic and foreign policies. The practical fulfilment of this objective is of paramount importance, including proper reflection in evolving policies and settings across a wide range of our health and personal social services. Deputy O'Sullivan referred to the most recent report of the Special Rapporteur, Mr. Mendez. There are significant findings in that report in terms of the setting that is now chosen for the majority of people in this country with mental health issues. I understand that the Department is studying the report in detail and will issue its considered view on it in due course. Deputy Maureen O'Sullivan: I take heart from the fact that the Department is studying Mr. Mendez's report and will issue its findings on it. It is, however, difficult to accept much of what the Minister of State had to say about budget cuts and the moratorium on recruitment given the issue of mental health has not suddenly appeared on our agenda. This issue has not been a priority for any of the parties, including Fine Gael, Fianna Fáil and the Labour Party, in Government since 1984, although it has become a priority in recent times. What was promised in 2012 did not materialise. The fear in the mental health setting is that the same will happen in 2013. The point that must be made is that political will alone has not worked when it comes to the provision of mental health services. A different approach is now needed, which could be provided by way of enactment of legislation to provide that the HSE is obliged to account for progress in this area and for the production of regular transparent reports in this regard, including to this House. It is important also there is development of mental health services for people with an intellectual disability. I ask that these proposals be taken on board. As they are included in the report, I presume the HSE will respond to them. Spending on community mental health has been static at 27%. Spending on residential care has been consistently 58%. I acknowledge the opening of the Phoenix Care Centre, which I attended. I was disturbed by the attention of the media on that occasion to the Minister, Deputy Reilly, and Minister of State, Deputy Lynch, being stuck in a lift rather than on that amazing facility. The opening of that facility presented an opportunity to look at the whole area of mental health in a much more progressive manner rather than on the mishap in the lift. Deputy Brian Hayes:I do not disagree at all with what the Deputy said and there is much common sense in it because we should focus on the merits of the issue rather than frivolities or otherwise of people getting stuck in lifts. There is a message in this for the media and those who pander to them with simplistic commentary rather than detailed policy work. The Deputy is right to say that even with the cutbacks there has been a renewed commitment on funding on the part of the Government, and the Minister of State, Deputy Lynch, in particular has taken a huge interest in this area. Fair is fair and in circumstances where cuts have occurred a special allocation of an additional €35 million was made last year. Our commitment was to have an additional 414 places. As of now, 307 of these are in place and a commitment has been given that the great majority of the remaining number will be in place in a matter of weeks. I understand the 2013 budget also contains a commitment that an additional €35 million would be put in place to allow these additional posts to be filled. Even in very difficult times when budgets are being cut this is an area where budgets are expanding because we recognise there has been a real deficit in the number of trained personnel working in the area. I expect, because of the notes I have in front of me, these people will be in place by March this year. This will represent an increase of €70 million over the past two years and an additional 800 posts over a longer period of time. Slowly but surely we are beginning to recognise the need for proper mental health services, as the Deputy has rightly said. Even in difficult times we can still do this. I am sure the Deputy and others will encourage the Minister to get even bigger budgets and have a larger number of supporting personnel. As the Deputy rightly pointed out, there is an issue with regard to how developments in this area will have a practical impact throughout the HSE service and this is something of which we need to be very mindful. We should not have doctrinaire ideological views on something if evidence shows a better system, or at least a more flexible system, needs to be put in place. We need to be mindful of this and change policy accordingly.